This book explores Russia's stunning success of ushering in the space age by launching Sputnik and beating the United States into space. It also examines the formation of NASA, the race for human exploration of the moon, the reality of global satellite communications, and a new generation of scientific spacecraft that began exploring the universe. 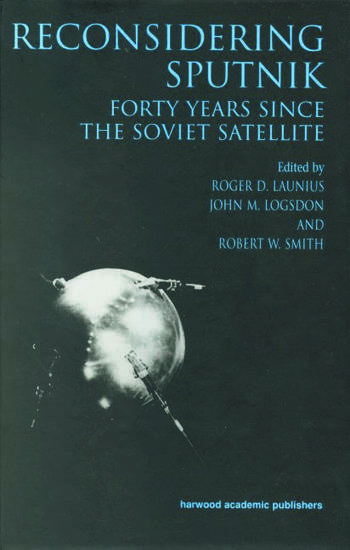 An introductory essay by Pulitzer Prize winner Walter A. McDougall sets the context for Sputnik and its significance at the end of the twentieth century. Walter A. McDougall Introduction: Was Sputnik Really a Saltation? "Fascinating even outside its space context....Sufficiently different and unique to warrant attention....This well-documented book is presented in three parts....Particularly interesting is an excellent 23-page epilogue by G.P. Hastedt....Highly recommended for all readers who want a balanced view of historical developments in the space race and its associated politics."